On Saturday, Bohemia will be crashed by five of Calgary’s finest, who will be spreading the sonic gospel with free-improv, harsh noise and everything in between. 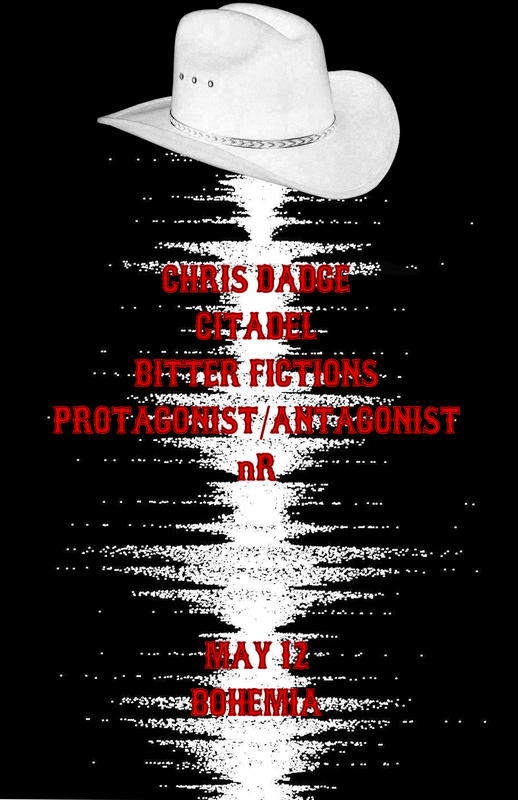 Chris Dadge – One of Calgary’s prodigal improvising musicians and leader of the Bug Incision concert series/label, he also plays in Lab Coast and works with approximately five billion other bands. Bitter Fictions – Guitar looped noodling/confessing/fuzzing/excersizing/spirituals/tomfoolery/meanderings. Citadel – Ex-Suicide Bomber Josh Fraser is the Michael Jordan of harsh noise. nR – Not-so soothing business from tall/strapping Aaron Sereda. Fun Calgary Fact: Aaron actually grew up down the street from Canadian Football League legend Lanny McDonald. Protagonist/Antagonist – Fun Calgary Fact – Larry is nine and a half feet tall, which is 1/237th the height of the Calgary Tower. His music is very very loud.